Sure, an old first-generation Microsoft Surface works fine as a Netflix tablet. But if you want to trade it in for a new Surface Pro 3, now's your chance. 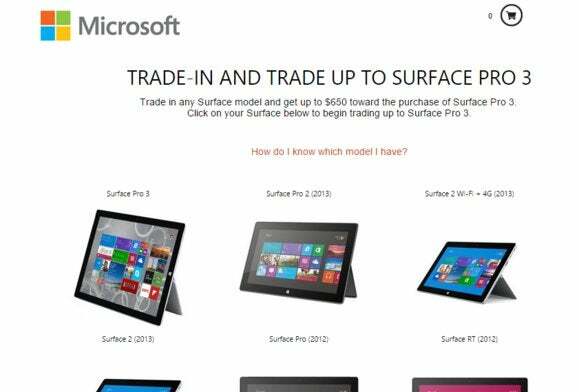 From February 15 through March 8, CEXchange is hosting a trade-in site where customers can send back their Surface tablets and receive credit toward a new Surface Pro 3. If the site considers the Surface to be in good working condition, customers will receive credits that must be redeemed by April 8. 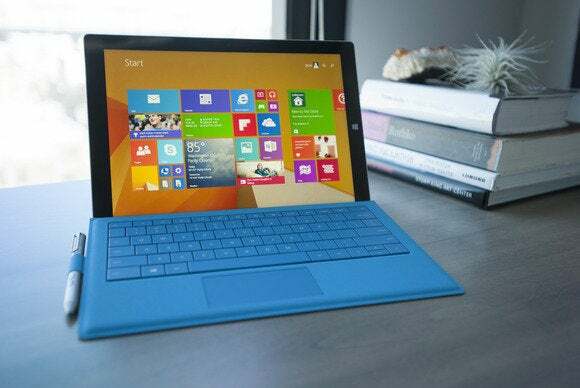 However, they can only be applied to one Surface Pro 3, Microsoft said. Why this matters: Microsoft's Surface lineup is essentially down to a single model, as the Surface Pro 3 has replaced the previous Surface Pro models, and Microsoft has stopped manufacturing the Surface 2. That doesn't mean the Surface lineup is struggling; on the contrary, Microsoft sold a billion dollars' worth of its Windows tablet last quarter. Still, the site is just more evidence that Microsoft is ditching its older hardware and doubling down on its latest model. It's always good to own the products a company feels the most strongly about. A sign of Surfaces to come? Microsoft is also expected to replace its Surface Pro 3 tablet eventually with a newer model based on the Intel Core M and Windows 10. Microsoft hasn't confirmed this, however, and two scenarios seem plausible: Either Microsoft releases a Core M, Windows 10 beta-powered Surface Pro 4 around its April BUILD conference; or else it waits until fall, launching the final version of Windows 10 on what would be Intel's "Skylake" processor. Microsoft's Surface Pro 3 tablet. Until then, however, users can see how quickly the value of their old Surface has depreciated. "To be eligible for trade-in, product must power on, battery must hold charge and not be required to be plugged in to operate, and be in fully functional, working condition without broken/missing components, cracked display/housing, liquid damage, modification(s) or have device warranty seal broken to be considered working," Microsoft and CEXchange say. "[The tablet] cannot be password protected, and include original chargers/accessories. Any appraised value will be determined at trade-in and provided as a Microsoft online store redemption code and is valid online only." and a Core i3-based Surface Pro 3 (64GB) is worth $499 in credit toward a more expensive version. Note that Microsoft will also bump up the trade-in value for models with more storage, such as the Surface Pro 2 (128GB), which is worth $221. This could be the time to gather up your old hardware, dust it off, and get ready to ship it back. Or is there a better option out there? Let us know in the comments. Updated on Feb. 18 to confirm that the trade-in deal is legitimate, according to Microsoft.